Is The APA Association All It Ought To Be For Our Sport? Some say APA pool leagues are pool turned upside-down. Photo (c) Matt Sherman 2008, licensed to About.com, Inc.
Matthew Sherman is an experienced pool and billiards instructor and the author of "Picture Yourself Shooting Pool." The APA pool league represents a powerful and influential body of players, people having a great time in billiards. But is there more to the story? As the American Poolplayers Association (APA) proudly states, "The APA Pool League is the largest amateur pool league in the world." Over a quarter-million avid players shoot pool at one or more of over 250 APA franchises across the United States weekly. APA players pay over $11 Million U.S. annually just to play in leagues, not much of which comes back to players as rewards for competition or in other ways. Where is that money allocated? A small fraction of that money provides an exciting tournament in Las Vegas, the APA Nationals. All the spots in Vegas are coveted by teams, some of whom are honest and some of whom resort to sandbagging to attend. The rest of the money goes elsewhere--the overwhelming majority of the dollars. The official APA website proudly states that the association enjoys over 260,000 current members, and adds that since 1979 they've had over 1,000,000 playing members. The implication is that nearly 750,000 players have quit the APA. Most left starting in the late 1980's, when APA grew quickly in size to compare with the BCA and VNEA. 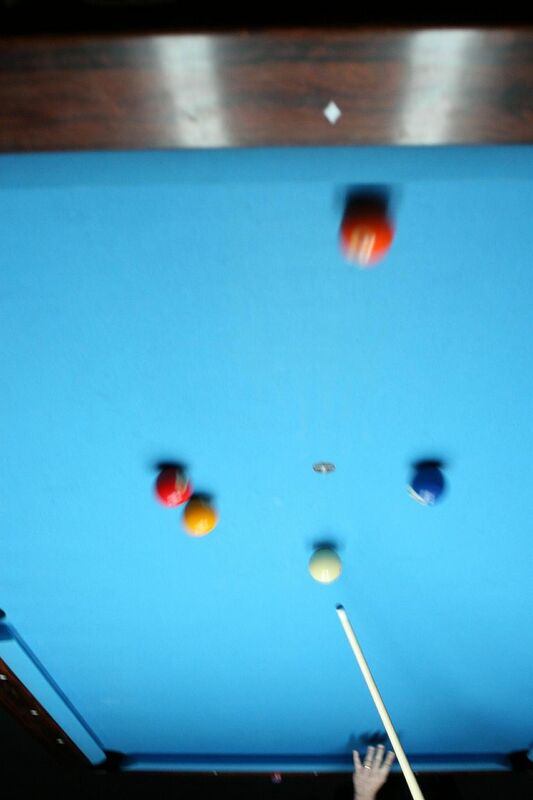 One of the main issues is the APA billiards league's rule set. Slop pool can be awful. It is hard to imagine feeling worse than when your opponent is aiming for a corner pocket, misses, but wins anyway when their ball bounces into a side pocket. Other leagues would re-spot the missed ball, but not the APA. One can just randomly pound away at the balls hard, and hope for the best. The APA pool league does offer marvelous competition and fun for participants. All teams competing in APA leagues nationwide hope to advance to their annual Local Team Championships and perhaps even to Las Vegas for APA's National Team Championships each August. There's nothing like the Vegas atmosphere of thousands of friendly competitors at once, just ask any playing member or team captain who has attended. No, the problem is our entire sport lacks effective and vigorous governing bodies, and better media placement and public image. There are certainly countless dedicated individuals promoting the sport, just not enough team effort. And even in an individual sport such as pool and billiards, that is a sad lack. What Are the Rules and Best Strategies in 8-Ball Pool? What Are Pool Balls Made Of?